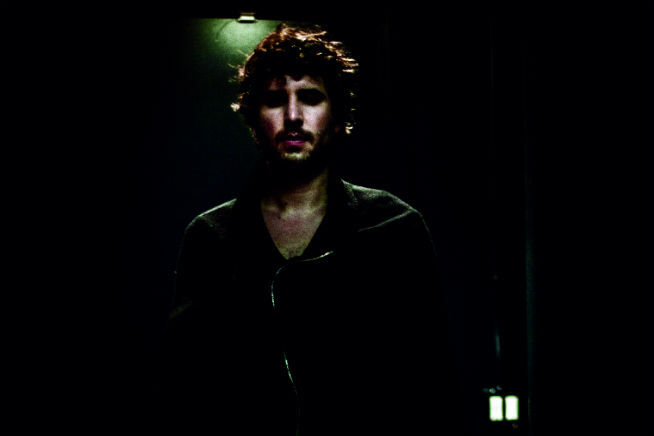 What’s On pals Hype gives an overview of Mathew Jonson ahead of his gig in Dubai. He plays at the last Plus Minus party of the season. Dance music production tools and techniques have become something of a selling point in 2015. After years of everyone ditching hardware in favour of shiny new computer interfaces like Ableton, there is now something of a reverse motion in action: hoards of producers old and new are all jumping out of the box and back into the real world, the world of physical tools, real synthesisers, dusty old drum machines and plenty of weird and wonderful bits of gear in between. As such, new releases come with assertions that they are “all hardware jams” with an “authentic analogue edge”. And that’s fine, but the fact is that the tools don’t really matter, and never will. What will always be most important to anyone DJing or dancing is the music itself. Canadian electronic veteran Mathew Jonson knows this, and would never shout about what kit he used to make his latest release, but the fact is he is an original hardware freak and always has been. Not only is he master of his hugely impressive studio, but so too is he one of very few genuinely live acts that can go on stage and lay down impromptu jams using only synthesisers and drum machines. Thanks to his father’s work with sound technology, Jonson first got his hands on real synthesisers at the age of just nine. It’s said that by the time he discovered hip-hop as a young teen, he was recreating its electro-based beats on his own rudimentary set-up at home. Since then, he has never stopped tinkering, but it was a key meeting with local DJs Tyger Dhula, Danuel Tate and Colin de la Plante that really set his career in motion, because together they went on to become the widely acclaimed Modern Deep Left Quartet (known as Cobblestone Jazz since Colin’s departure). At the same time, Jonson was focussing on his own solo sounds more and more and in 2001 released his first ever EP. It was an immediately captivating, classically informed bit of minimal techno that set off a career that has since produced many highs. Chief amongst them is his classic Wagon Repair release Marionette, which more than a decade later still stands as one of the finest ever minimal techno tracks thanks to its movingly melancholic synth patterns and absorbing, supple grooves: if anyone ever says to you that dance music has no soul or true musicianship to it, play them this track and they will surely change their mind. plenty of rugged grooves and dreamscape-like soundtracks in which to get lost, whilst 2013’s Her Blurry Pictures was more a collection of cuts that each offered something different. Still, they all championed Jonson’s singular style and retained plenty of meandering melodies, distant jazz flourishes and shades of modern classical composition. On the eve of releasing a special new track on The Loveland 20 Year Anniversary Collection, Jonson comes to the region to play at Plus Minus Sessions’ season closing party. And, as he has proved over the last 15 years, he’s sure to be nothing less than masterful.